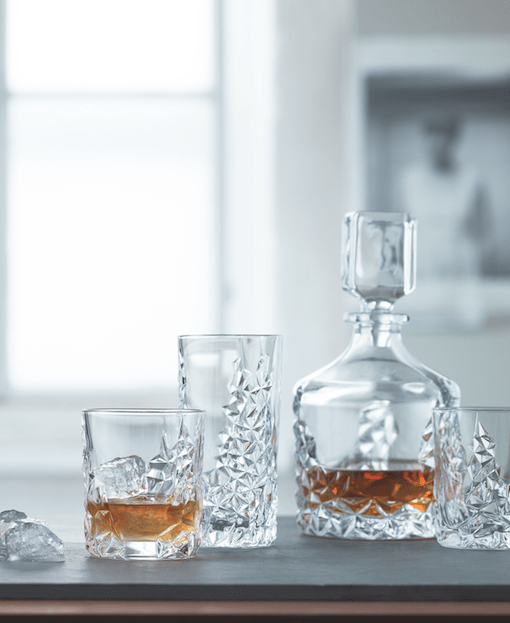 CRYSTAL TUMBLER SCULPTURE : 24 % lead crystal , manufactured by Nachtmann home . Very original glass service with forms carved in relief , enough to make a beautiful table decoration . Equally suitable as water glass , whiskey or other cocktail. Height: 10 cm.